On September 1st, after a few days of teasing on social media Zhiyun-Tech announced a new DSLR and Mirrorless camera gimbal. The Zhiyun-Tech Crane 2. UPDATE: Available for pre-order now on Amazon! In a slightly confusing marketing move from Zhiyun, this new gimbal replaces the Zhiyun-Tech Crane v2. That is, the second version of the first model. Is that clear? I thought so. Being released so quickly after the original Crane, Zhiyun must think they have added some good value to the gimbal. As this is only a product launch, the detailed specs are not available yet, but we look at some of the headline features below. The DSLR Gimbal is listed on Amazon.com for $759 available 20th October. B&H Photo also has the Zhiyun stabilizer available for pre-order. B&H is expecting availability on 1st November, for $10 cheaper, the retail price is $749. The new mirrorless gimbal’s main selling point is a focus control on the handle of the gimbal. This allows Gimbal Operators to control the camera focus manually. This therefore allows much more control over creative focus pulling shots. And as you don’t have to move your hand to the camera, it will make shooting even more stable. Using the Focus wheel allows for manual camera focusing. 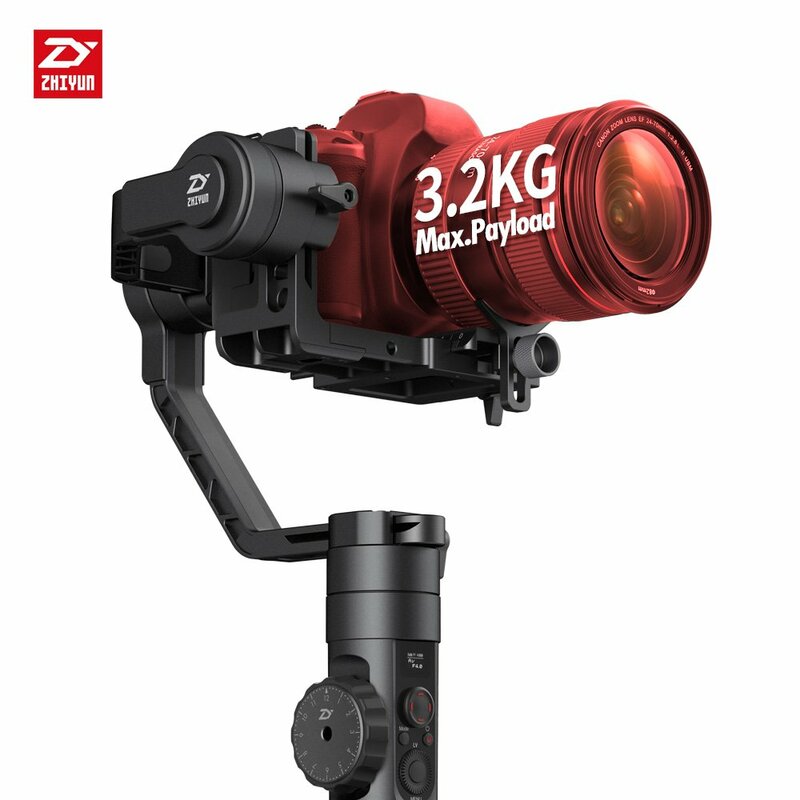 The Zhiyun-Tech Crane 2 is rated to an excellent 3.2KG or 7lbs Max. Payload. High-torque brushless motors make this 3-axis gimbal mountable by all models of DSLR and mirrorless camera on the market. The Crane 2’s comes with three 18650-type batteries and provides 6000mAh of capacity. THis should enable operation of the gimbal for up to a whopping maximum of 18 hours! Select Sony cameras may be charged through the gimbal, eliminating time otherwise spent swapping out camera batteries. The Quick Release Plate by MANFROTTO on the Zhiyun-Tech Crane 2 allows you to switch your camera quickly between the stabilizer and a tripod. This industry standard fitting is a good addition to a DSLR gimbal, and it should prove very useful. 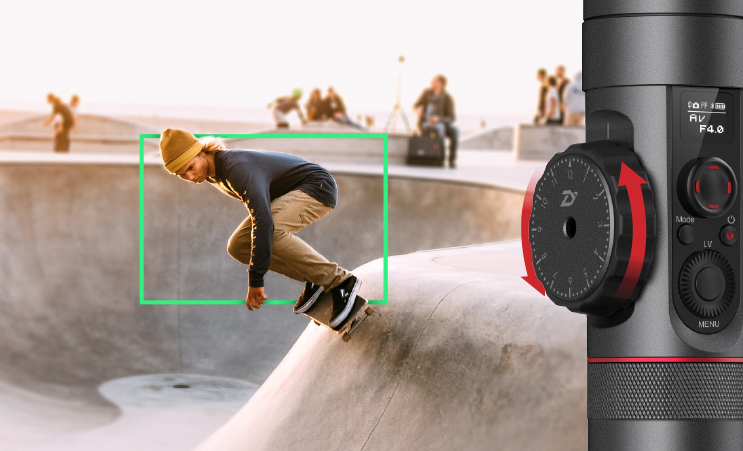 The gimbal also comes with a “Slow-Fall” mode, which will gently lower the camera after the stabilizer is powerered down. This stops your camera crashing in to the handle when the motors stop running. 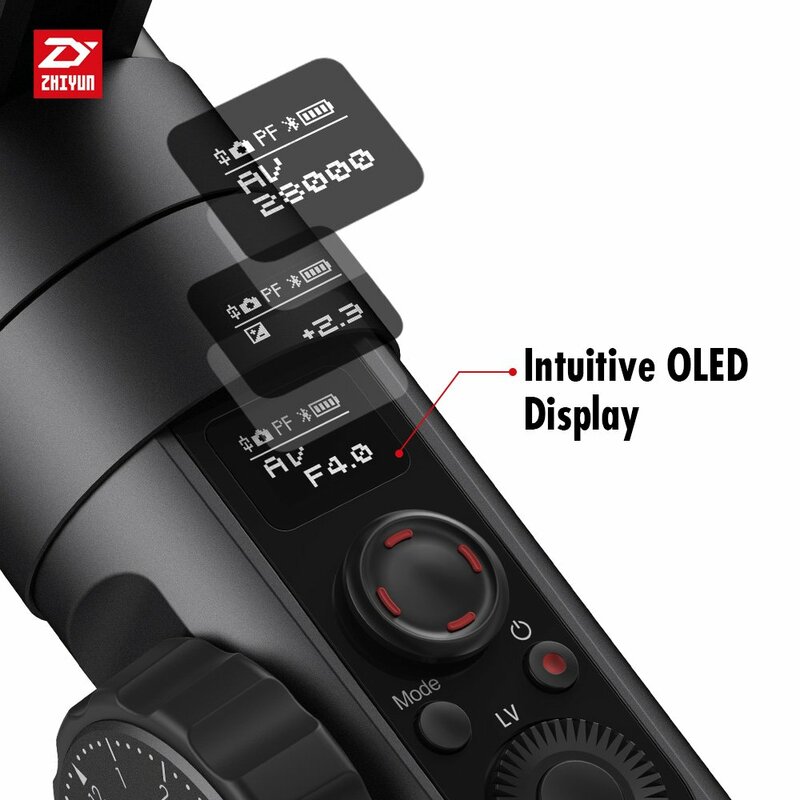 On the handle, Zhiyun have placed a resonably-sized monochrome OLED display, which should be useful. It helps you easily identify the connection status, battery level, control mode and multiple camera params. The Crane 2 is scheduled for release at the end of October. Currently the release date on Amazon.com is 20th October and on bhphotovideo.com is 1st November. GimbalReview will be sure to do an in-depth review when it’s released. Stay tuned! 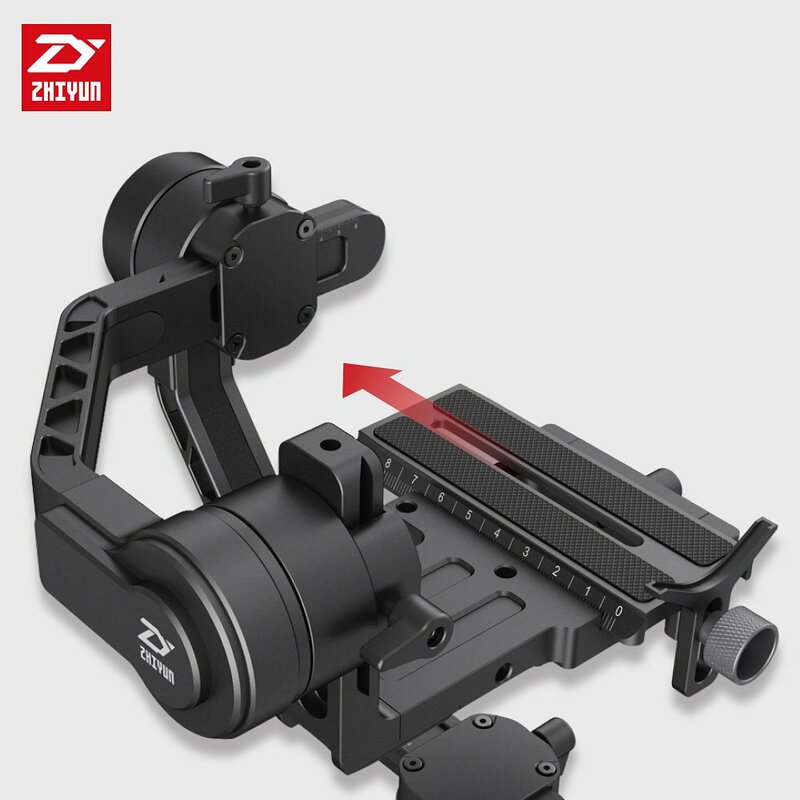 Read more about the Zhiyun Crane 2 at the Official Product Page. Need a stabilizer for your smartphone too? Read our Zhiyun-Tech Smooth-Q review for a look at the best value smartphone gimbal from Zhiyun-Tech. Also check out all our other stabilizer reviews, for more in-depth product reviews from more Gimbal Manufacturers. Yes, Phuong, I totally agree! The release date is currently planned for the 1st November on B&H and will retail for USD $749, and is listed at amazon.com for $759 available on October 20th at that point it should be available at most other good retail stores too!